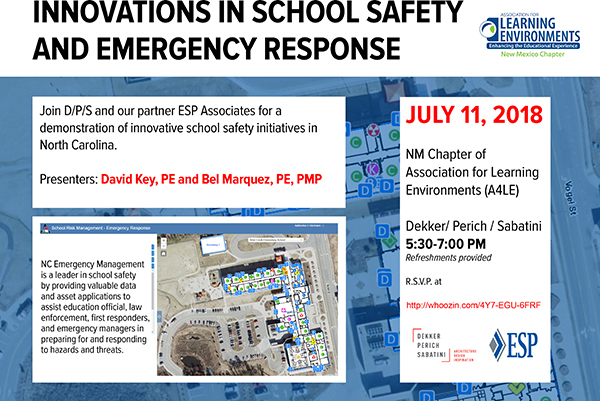 Join D/P/S and our partner ESP Associates for a demonstration of innovative school safety initiatives in North Carolina. NC Emergency Management is a leader in school safety by providing valuable data and asset applications to assist education official, law enforcement, first responders, and emergency managers in preparing for and responding to hazards and threats. 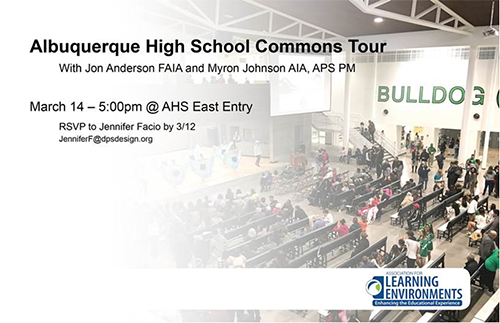 Please join us for a tour of Albuquerque High School Commons Tour with John Anderson, FAIA and Myron Johnson, AIA, APS PM. RSVP to Jennifer Facio by 3/12. 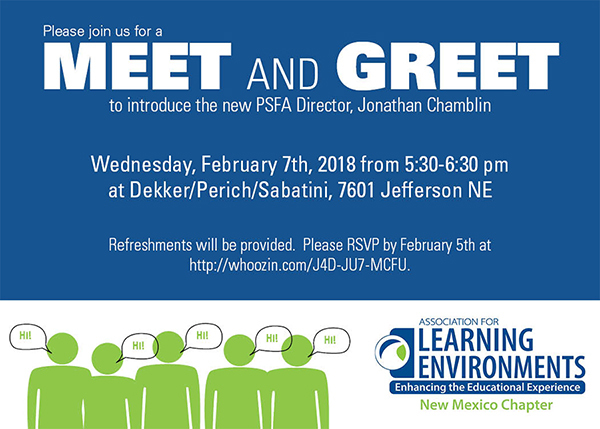 Please join us for a Meet and Greet to introduce the new PSFA Director, Jonathan Chamblin. Refreshments will be provided.